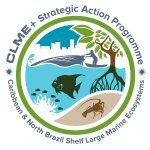 In November 2017, the UNDP/GEF Project “Catalysing the Implementation of the Strategic Action Programme for the Sustainable Management of Shared Living Marine Resources in the Caribbean and North Brazil Shelf Large Marine Ecosystems” (http://www.clmeproject.org) awarded a consultancy to identify Options for a regional Permanent Policy Coordination Mechanism and a strengthened Regional Governance Framework for shared living marine resources and ocean governance in the CLME+ Region, with a Sustainable Financing Plan. The mandate for this consultancy arises from the CLME+ Strategic Action Programme, which was politically endorsed by over 30 government ministers representing 25 countries and 6 overseas territories in the CLME+ region. Leading the consultancy is the Centre of Partnerships for Development, based in Barcelona, Spain (https://globalcad.org/en), with the Centre for Resource Management and Environmental Studies as the advisory group. The consultants will work closely with the countries that have endorsed the CLME+ Strategic Action Programme (CLME+ Countries), multiple Inter-Governmental Organisations, and other stakeholders in the region. 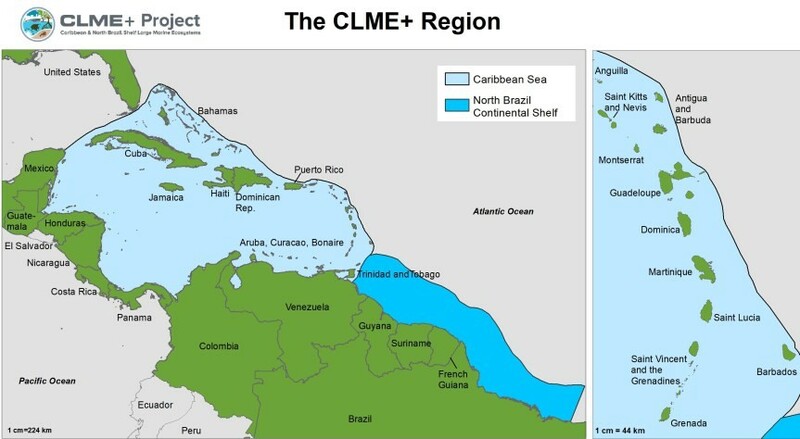 The marine resources of the CLME+ Region underpin the socio-economic development of the bordering states and territories, yet these shared resources are seriously threatened by pressures such as overfishing, pollution, habitat degradation, and climate change. Effectively addressing these issues is constrained by weaknesses in transboundary and cross sectoral governance arrangements, among other challenges. Under the current UNDP/GEF CLME+ Project, Governments and Inter-Governmental Organisations have come together to address degradation of the marine environment and to secure the region’s natural marine living resource base through implementation of a 10-year Strategic Action Programme, which was collaboratively developed in 2013. This Programme calls for the establishment of a sustainable, region-wide Permanent Policy Coordination Mechanism for ocean governance, with an initial focus on shared living marine resources. 3). A Sustainable Financing Plan to enable and strengthen the operations of the existing and proposed ocean governance arrangements in the CLME+ region. Another key output is a proposed roadmap for the formal establishment and full operationalization of the selected option. Who are the team players? The Centre of Partnerships for Development is managing this consultancy, and has assembled a team of experts with extensive experience in the CLME+ region as well as globally. Playing a major advisory role is the Centre for Resource Management and Environmental Studies of the University of the West Indies. 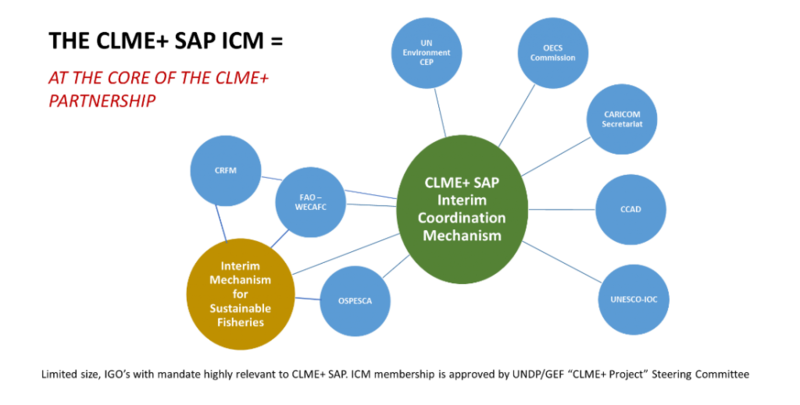 Among the key partners and stakeholders to be actively engaged are the CLME+ Countries, the CLME+ Project Management Team, the CLME+ Technical Task Team, the CLME+ Project Steering Committee, and the CLME+ Interim Coordination Mechanism, which consists of the following Inter-Governmental Organisations with a formal mandate for shared living marine resources/ocean governance in the CLME+ region: UN Environment–Caribbean Environment Programme (UN Environment CEP); Western Central Atlantic Fisheries Commission of the UN Food and Agriculture Organisation (FAO-WECAFC); Intergovernmental Oceanographic Commission (IOC/IOCARIBE) of UNESCO; Caribbean Community (CARICOM) Secretariat; Caribbean Regional Fisheries Mechanism (CRFM); Central American Commission for Environment and Development (CCAD); Organisation of the Central American Fisheries and Aquaculture Sector (OSPESCA); and the Commission of the Organisation of Eastern Caribbean States (OECS). Other stakeholders include potential future members of the CLME+ Partnership. How is the initiative being implemented? The initiative will build on the extensive baseline of work on governance of fisheries and the marine environment that already exists in the region. Implementation will follow the methodological approach depicted below. What role will CLME+ Countries and Partners play? 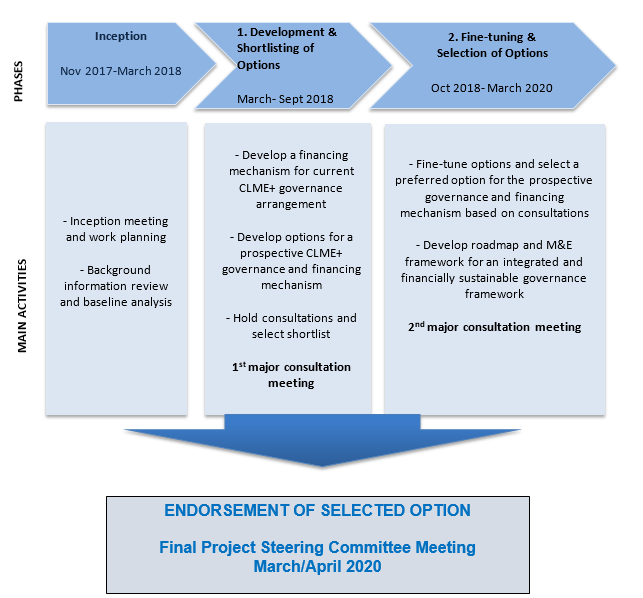 CLME+ Countries and Partners have an important role in this activity, such as sharing information and participating in consultations and interviews with the consultants, and providing feedback on the proposed options (Phases 1 and 2). CLME+ Countries can also contribute by holding national consultations with relevant government ministries and other stakeholders at the national level as well as by participating in the regional meetings. Similarly, members of the Interim Coordination Mechanism can assist by placing this activity on the agendas of their relevant meetings and discussing with their respective constituents. In Phase 2, the Countries and the Interim Coordination Mechanism will be instrumental in the selection and endorsement of the final solution. Hence, involvement of the CLME+ Countries and the Interim Coordination Mechanism throughout the consultancy is critical. We are counting on you. Regular updates on this unique and important activity will be provided through the CLME+ Project and Partners’ websites, newsletters, email, and social media, so please stay tuned.